This honoring tradition has carried on to this day. And rightfully so! The men and women of the military have frequently risked their lives so that those at home may always remain free. US military medals are often arranged according to precedence, that is, according to how important the award ranks. The highest decoration the U.S. has is the Medal of Honor, which you may have heard of. This is awarded to military members who displayed an excessive amount of gallantry and fearlessness above and beyond what was expected of them in the line of duty. Three versions of this award exist, and each is awarded depending on which branch the recipient served in. Just over 3,500 have been awarded since the medal’s creation in 1861, and almost half of those were awarded for Civil War actions. The medal that comes next in precedence is the Distinguished Service Cross. This is awarded to distinguished members of the Army but is at the same level of importance as the Navy Cross and the Air Force Cross. Many have heard of the Purple Heart. This is awarded to any soldiers who were wounded or killed at the hand of the enemy during war by a weapon of war. Not just any wound qualifies a soldier for the Purple Heart. This award, like many others, signifies real bravery when facing the enemy. Many people would recognize various names in the U.S. made famous from television, literature, or other mediums, but less well known is the military service these big names provided. A few of them even received decorations for their service. Heard of Jimmy Stewart? He took to the skies in 1942 with the Army Air Corps. He was awarded 6 battle stars, the Air Medal, and the Distinguished Flying Cross with Oak Leaf Clusters as well as a well-known French decoration. Andie Murphy, who you may be familiar with, played several roles in various westerns and army shows, but did you know he was the most decorated American WWII soldier? He actually received the Congressional Medal of Honor in addition to about 32 other honors. Stepping out of the film world, another famous name is John F. Kennedy, who received the Navy and Marine Corps Medal and the Purple Heart. And he wasn’t the only president to receive decorations for military service. Others include Lyndon B. Johnson and Richard Nixon. Women serving in the military has been something of a hot topic for decades. No one can deny that these women have shown an incredible amount of zeal and courage. There is a very long list of women who have received medals for their service, and each of these women has her own inspiring story. Such as Jane Jeffrey who refused to leave her post as nurse during WWII even though she had just become severely wounded during an air raid. She received the Distinguished Service Cross. We want to recognize these amazing women and men who have served their country well. Not just anyone can be awarded these decorations, and we know that. We want to help all veterans live their lives to the fullest since it’s because of their service that we can do the same. 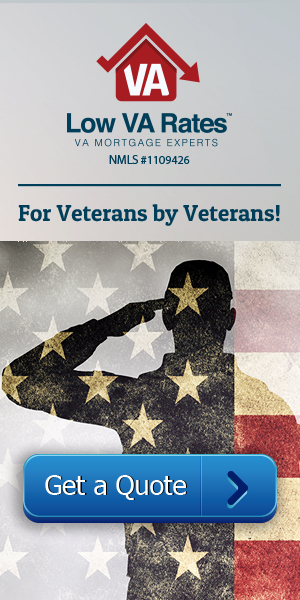 At Low VA Rates, our main objective is to help veterans get into houses they can truly call homes. Call us to learn more.